When it comes to biometric fingerprint gun safe technology, you’d want to invest in only the best quality products. After all, their quality is what determines the level of security of your arms and ammunition. For a top-quality gun safe, make sure to check out this type of safe. But what exactly is biometrics? Well, the term “biometric” is used to denote behavioral or physical characteristics that can identify a person. Security systems utilizing biometric use hand geometry, fingerprints, facial recognition, and even retinal structure to recognize a person. 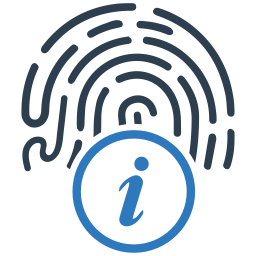 In the context of gun safes, the most common type of biometric used are the ones based on fingerprints. This is because a person may get a hold of your gun safe combination but they will never be able to imitate the patterns on your fingers. 1. Capacitance scanners: The scanners are a bit complicated than their optical counterparts. The sensor can be made up of either one or many semiconductor chips that contain a vast number of small cells. The cells are necessarily smaller than the width of one ridge located on your finger. The system comes together to form what is called as a capacitator. The capacitator then reads the difference of voltages created by the valleys and ridges on a fingerprint. In this way, an “image” is created and then it’s brought to comparison with the stored data. 2. Optical scanners: This technology uses a CCD (charged coupled device) or those used in camcorders and digital cameras. A CCD is a series of diodes that are light-sensitive and convert light into electrical signals. The fingerprint scanner comes with its own light source that is used to illuminate the finger ridges placed on the scanner surface. Once the image of the fingerprint is captured, it is compared with the stored data to either grant access or deny it. How does a biometric gun safe function? The core idea behind the lock mechanism of a fingerprint gun safe is keyed to one’s fingerprint. Since no two persons can have similar fingerprints, only those who have set up their system can access the contents of the safe. 2. Storage: The software contained within the device makes the images of your fingerprints gathered during enrollment and converts into pieces of data that only the computer can understand and use. This data is then safely stored in its on-board storage system. 3. Comparison: The biometric lock is now set up according to your unique fingerprint. Every time you want to open the lock, the computer sensor will scan your finger, retrieve the data that is stored and compare it to what it just collected through the scan to permit or deny access. What’s the power supply for these safes? Gun safes based on fingerprint biometric technology work on batteries that need to be changed periodically. As the technology becomes more refined in the future, we can expect it to see it more frequently in households to keep their possessions safe.